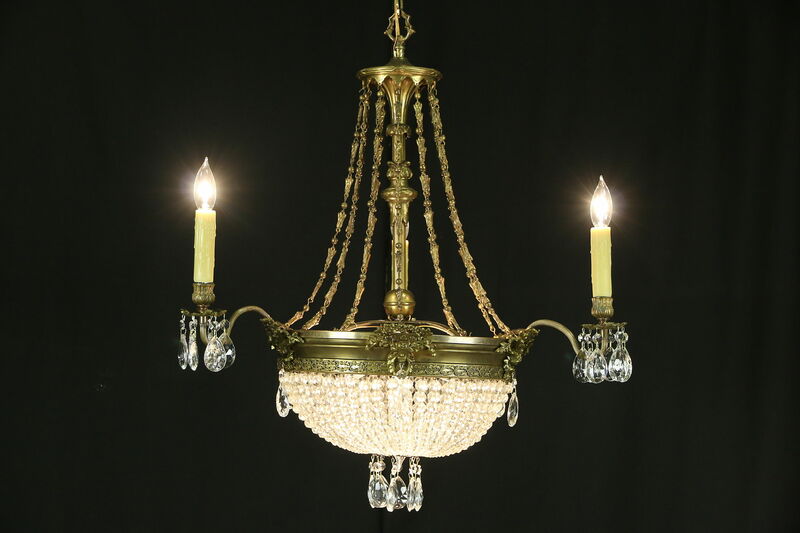 An opulent chandelier from the 1940's reflects the Regency manner. Solid brass with a patinated bronze finish, this light fixture has been rewired. Three candles have beeswax covers on this American made vintage light fixture. European crystal prisms and graduated swags of faceted balls are beautiful. Measurements are 26" across and 30" tall, excluding the adjustable chain and ceiling cap.